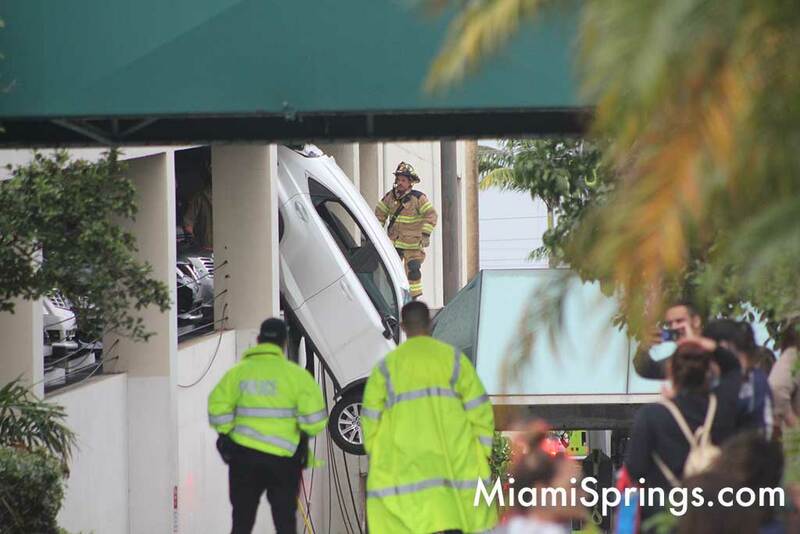 According to Miami-Dade Fire Rescue, the only person in the car was a female driver. 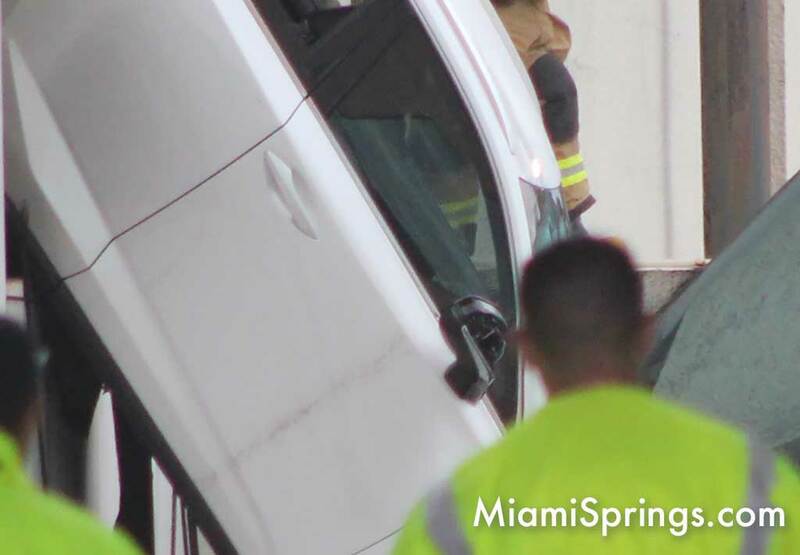 She was removed from the SUV safely by Miami-Dade Fire Rescue. 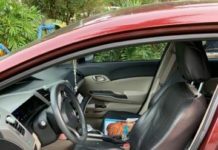 She’s going to be okay. 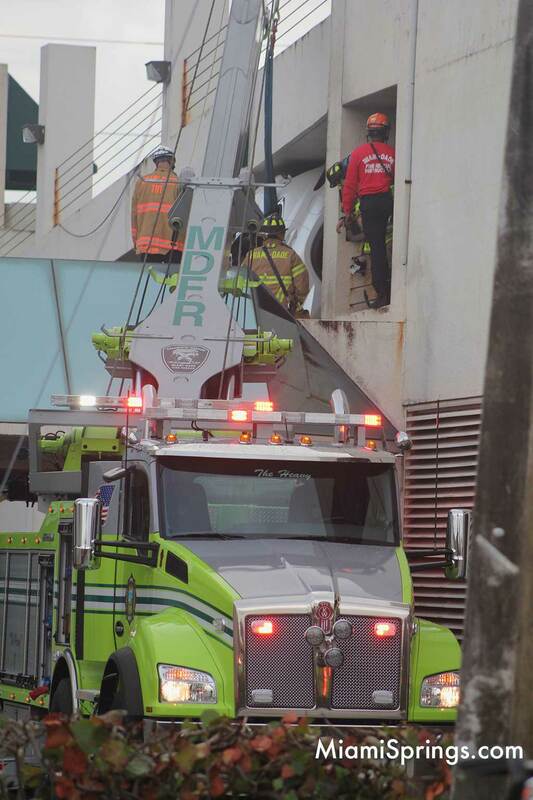 Well, we don’t know yet if it was a case of failing to stop while she was parking, or thinking she was going forward instead of reverse, or pressing the gas instead of the brake. 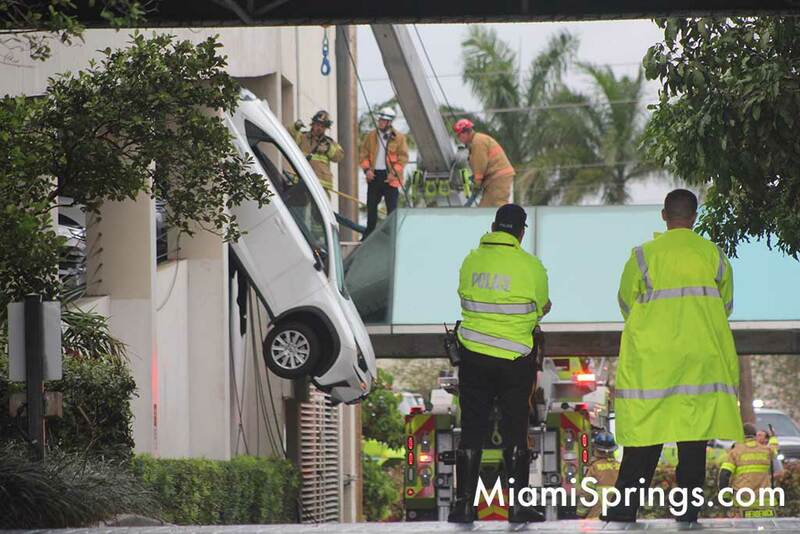 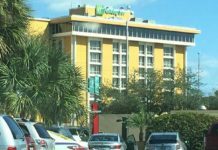 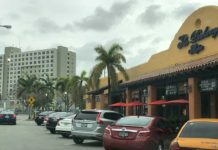 What we do know is that the woman’s SUV was dangling from the second floor of the parking garage at 700 South Royal Poinciana Boulevard. 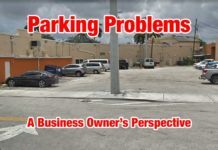 (The parking garage for the former Eastern Federal Credit Union Building.) 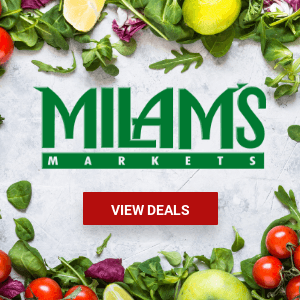 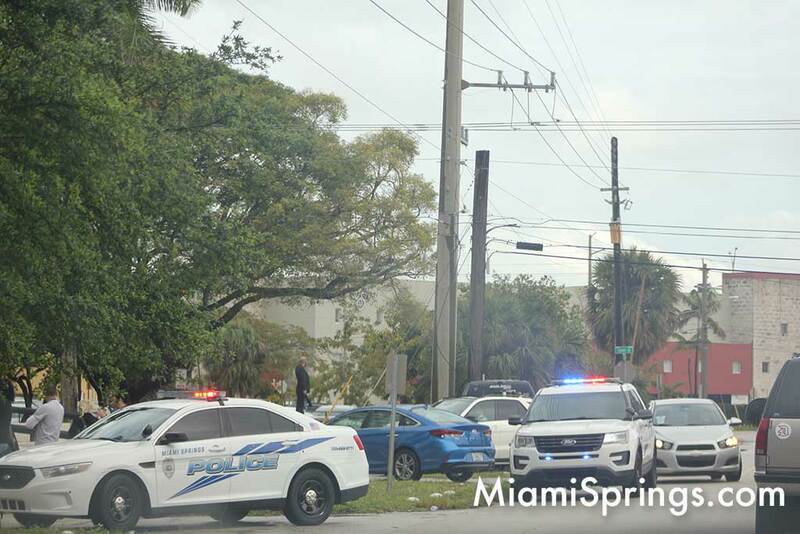 The accident happened shortly before 5pm on Thursday, April 4, 2019. 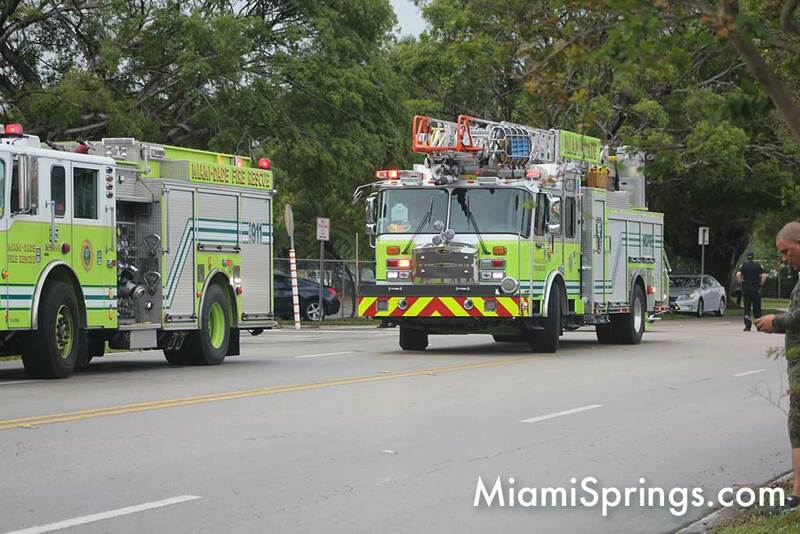 Miami-Dade Fire Rescue first secured the vehicle. 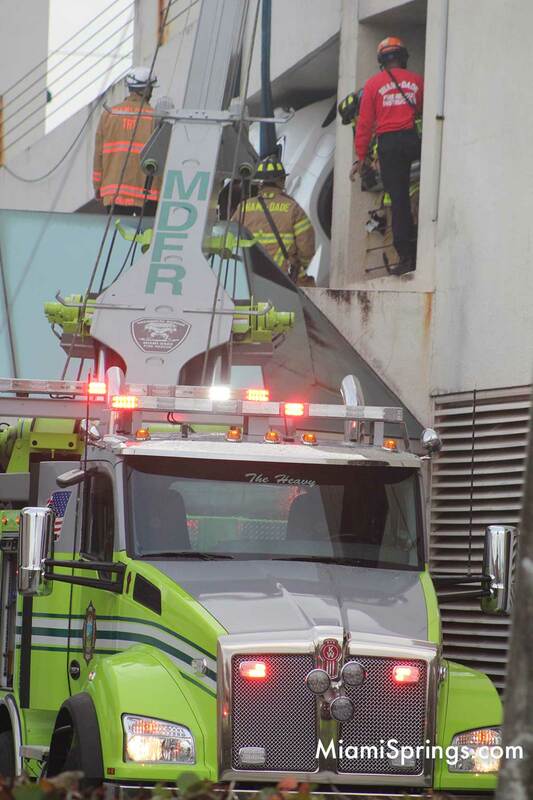 They brought in the heavy duty crane and secured the vehicle with heavy duty straps. 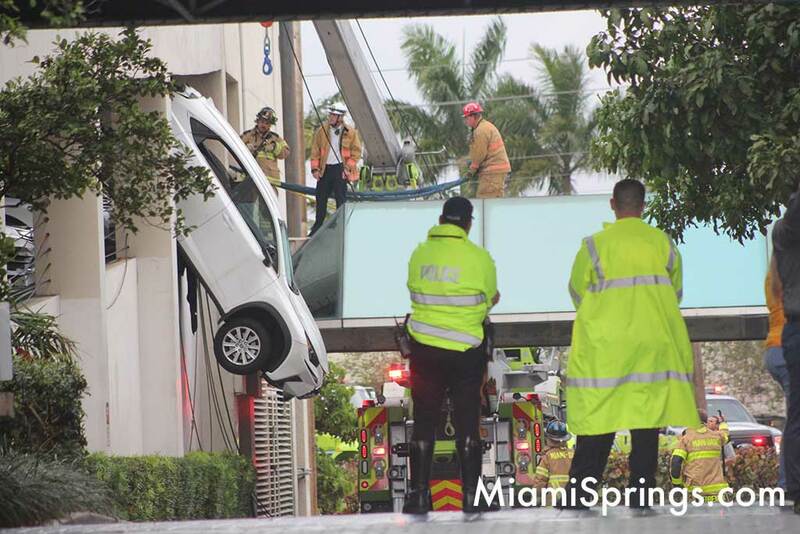 Once they were able to stabilize the vehicle, the female drive (who was the sole occupant inside the vehicle) was able to climb to the rear of her SUV and exit through the left rear door and onto the arms of Miami-Dade Fire Rescue. 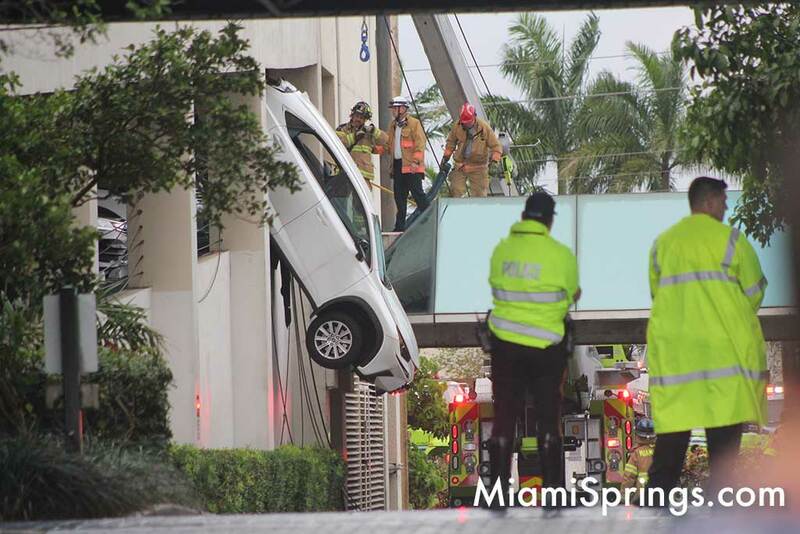 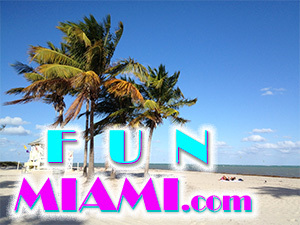 The driver was described by Miami-Dade Fire Rescue as being okay. 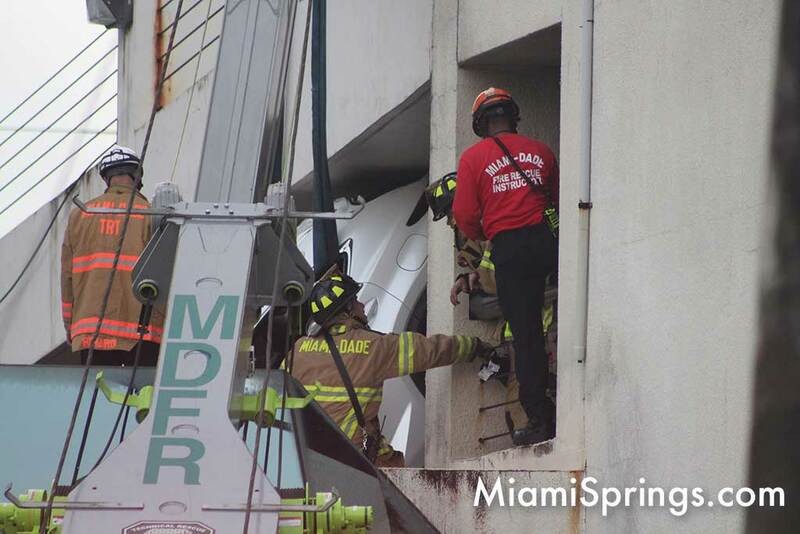 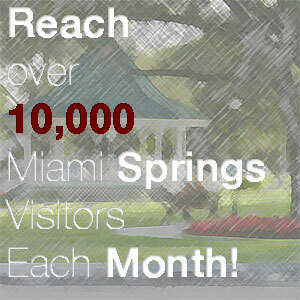 Miami-Dade Fire Rescue mentioned that when they first arrived she was holding onto her steering wheel for dear life. 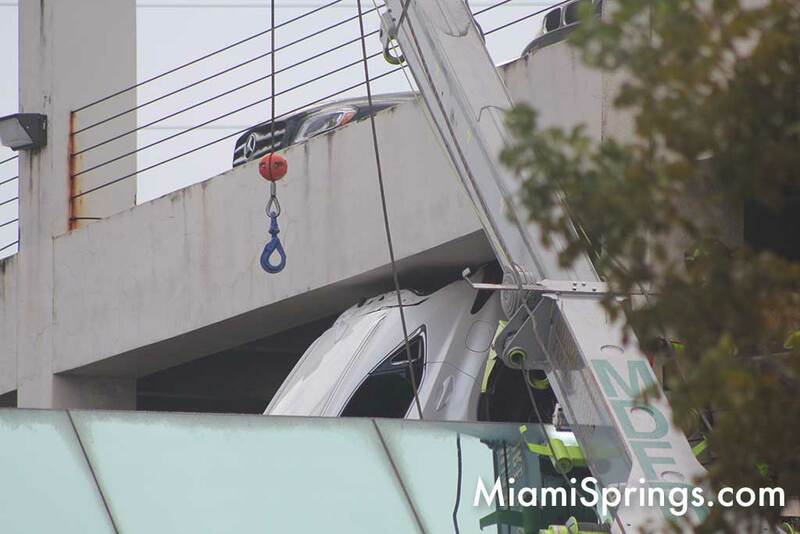 Again, the driver was successfully removed and she’s going to be okay. 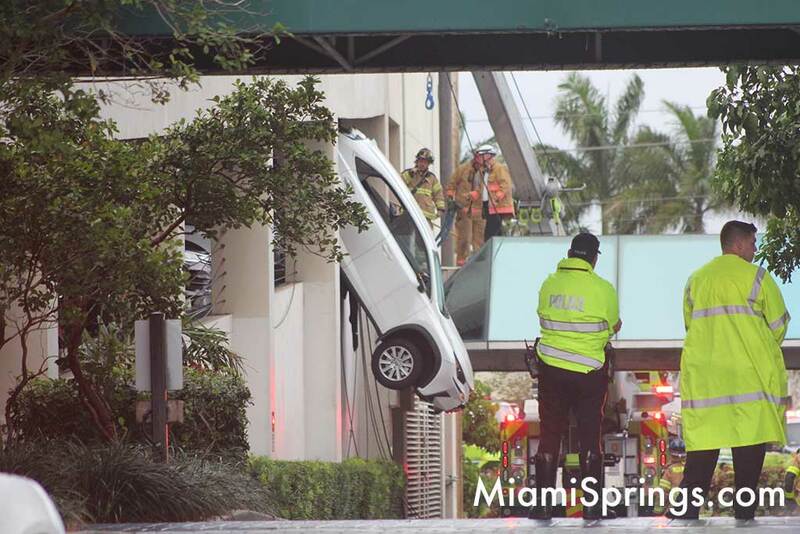 An amazing job by Miami-Dade Fire Rescue in arriving with the right equipment to secure the vehicle and then to safely remove the driver from her car. 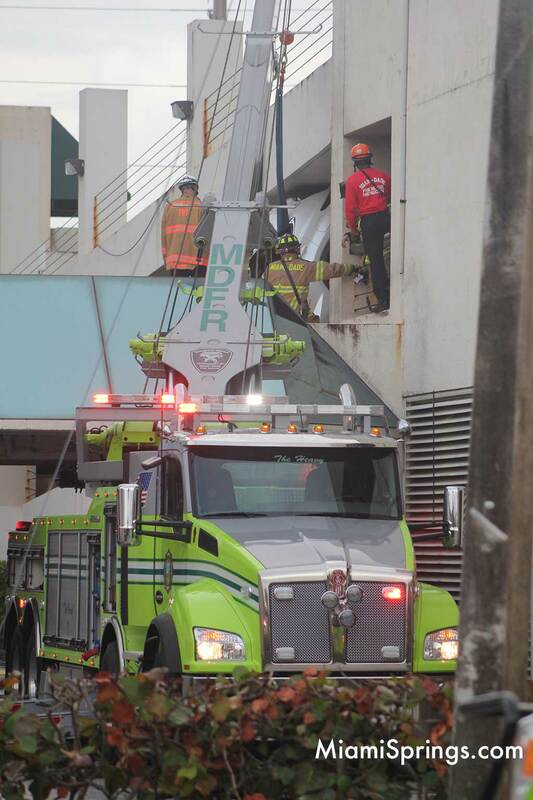 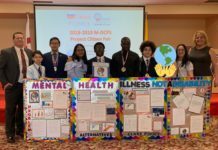 Great job MDFR! 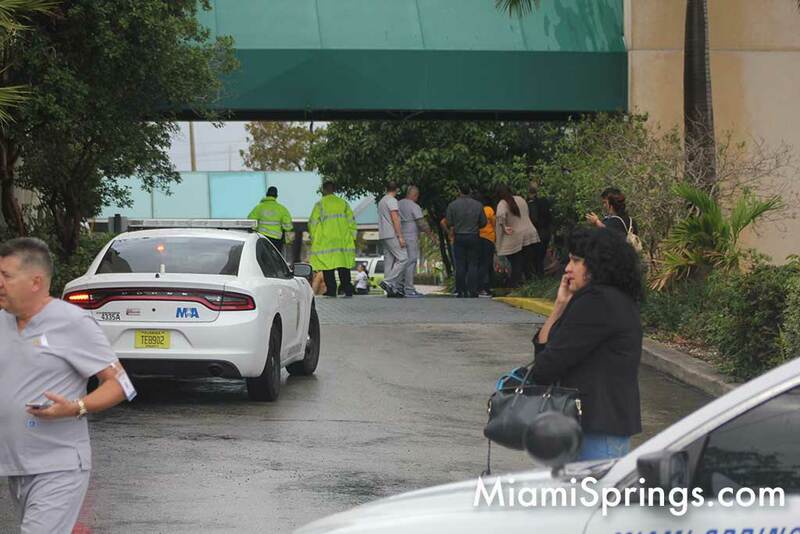 Thank you for securing the scene and saving the woman. 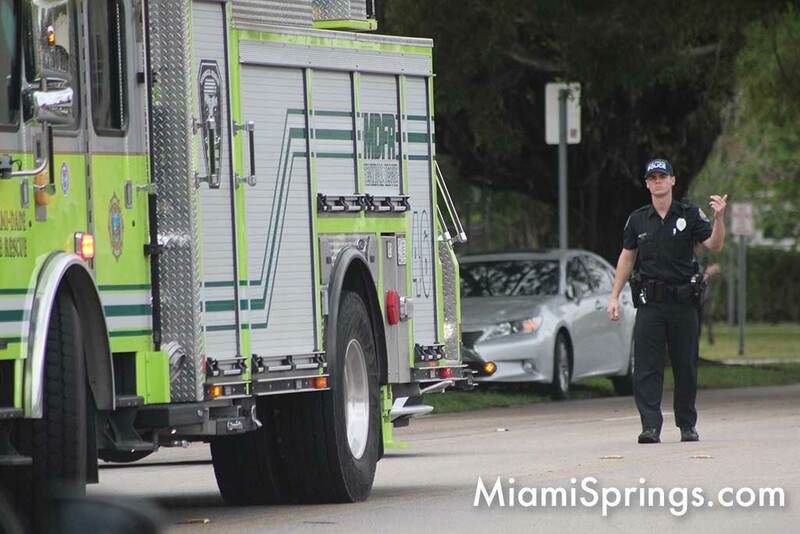 These shots were taken while Fire Rescue were securing the vehicle. 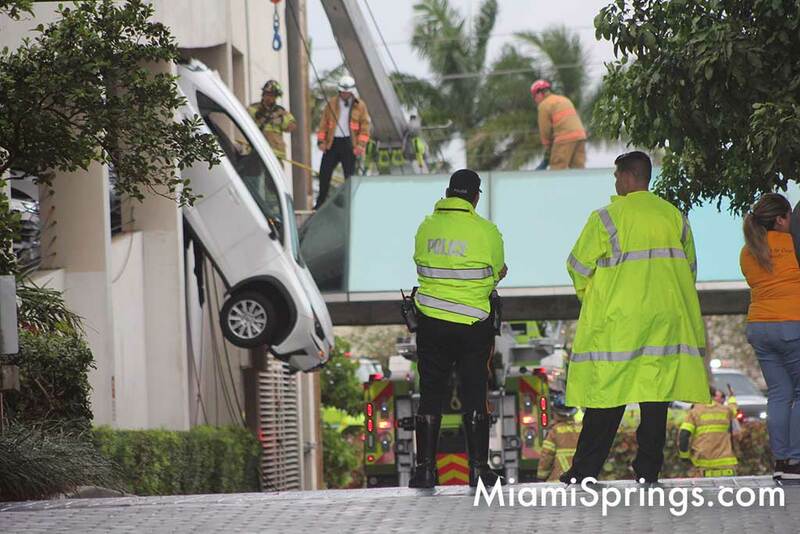 The woman was still inside the vehicle at this point. 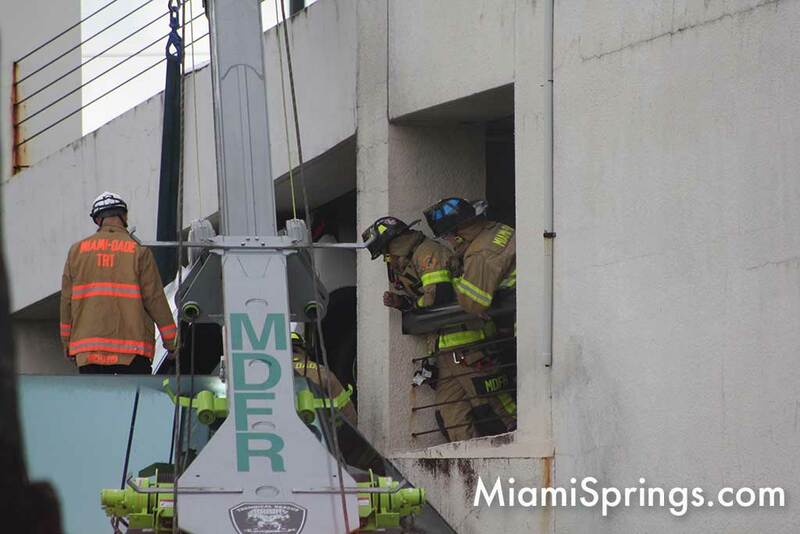 Below you can see fire rescue stretching a heavy duty strap that they used through the rear doors of the the SUV an then hook it up the the crane’s hook you can see overhead. 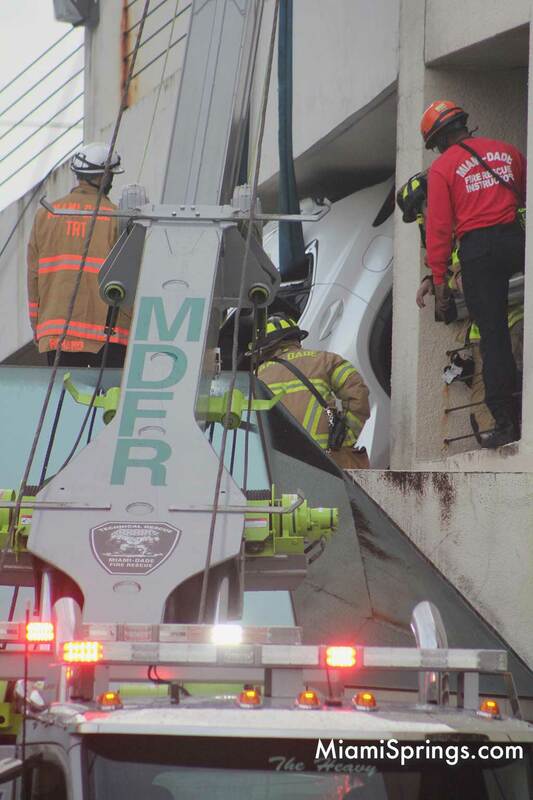 Here you see the Fire Rescue team from the opposite angle working on the vehicle. 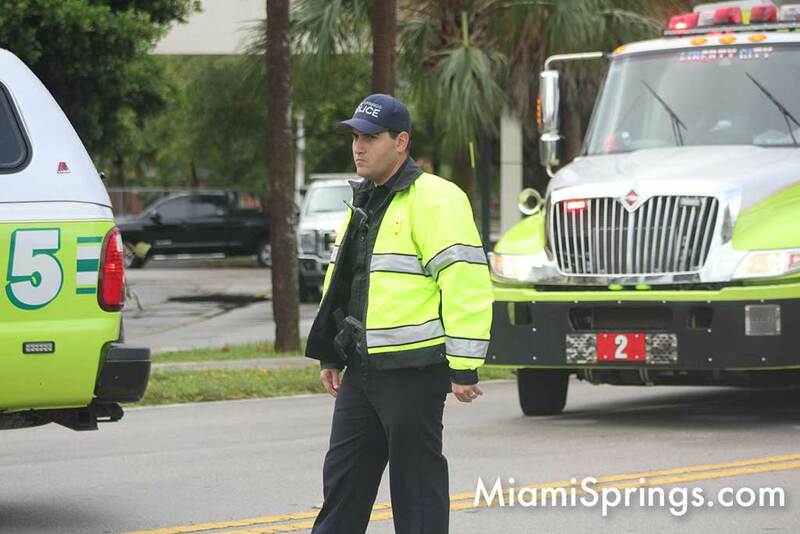 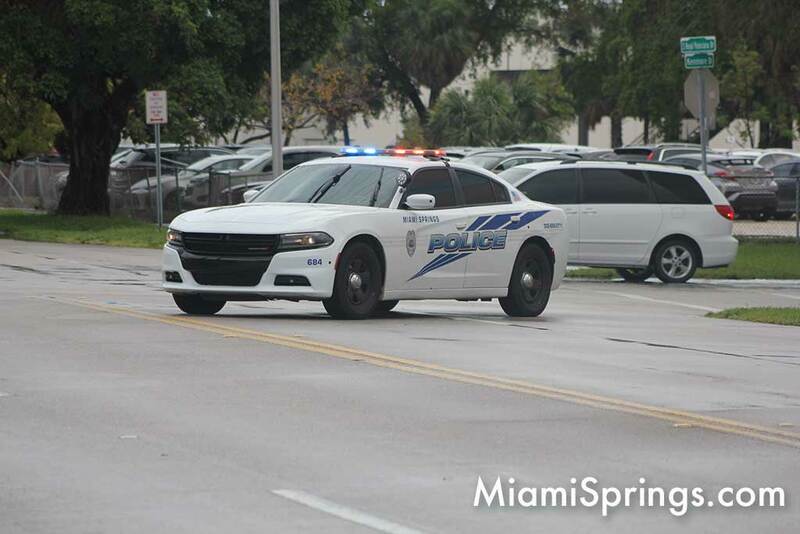 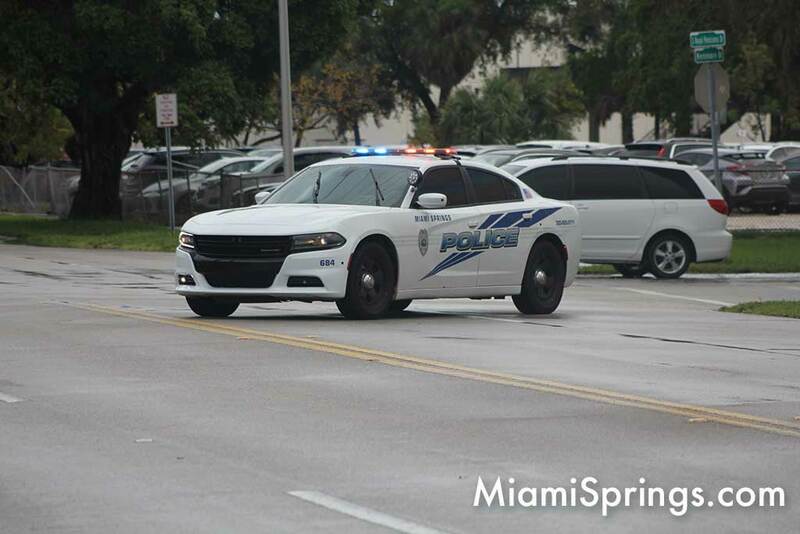 Miami Springs Police were also on the scene directing traffic around the rescue vehicles and keeping people away from the area in the event the vehicle were to fall.